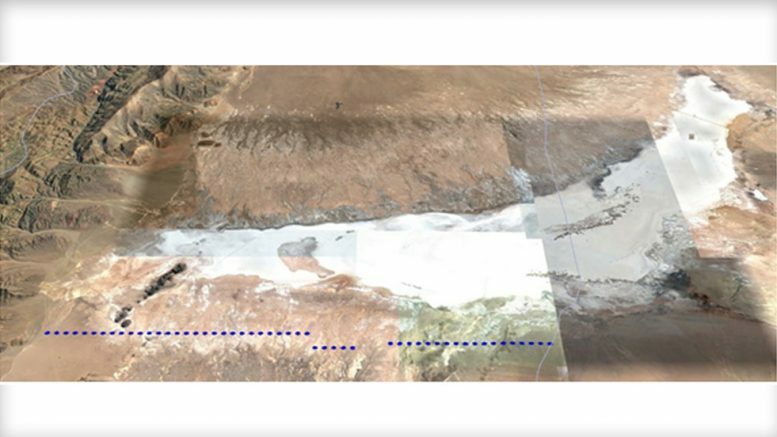 MGX Minerals Inc. announced the engagement of Quantec Geoscience to complete a Time Domain Electromagnetic (TDEM) survey on the Salinitas lithium brine project in the Salinas Grande Salar of northwest Argentina. MGX has partnered with A.I.S. Resources on the Project and is currently earning an 80% interest. The TDEM geophysical survey will be conducted along 52 stations spaced in 500 meter intervals across the edge of the salar to test for shallow, near surface brines to determine locations with anomalous concentrations of lithium. The Salinitas tenements are located in the Salar de Salinas Grandes, Province of Salta. The 4,308 hectare contiguous land package resides in the Puna region of northwest Argentina near the border of Chile, an area renowned for its lithium and potassium-rich brine resources. MGX can earn an undivided 80% interest at any time during the Agreement by making payments totaling US$3.2 million. MGX has also agreed to incur total expenditures of at least US$1.2 million prior to May 31, 2020. MGX has developed a rapid lithium extraction technology eliminating or greatly reducing the physical footprint and investment in large, multi-phase, lake sized, lined evaporation ponds, as well as enhancing the quality of extraction and recovery across a complex range of brines as compared with traditional solar evaporation. This technology is applicable to petrolithium (oil and gas wastewater), natural brine, and other brine sources such as lithium-rich mine and industrial plant wastewater. Be the first to comment on "MGX Minerals – TDEM geophysical survey at Salinitas lithium project"